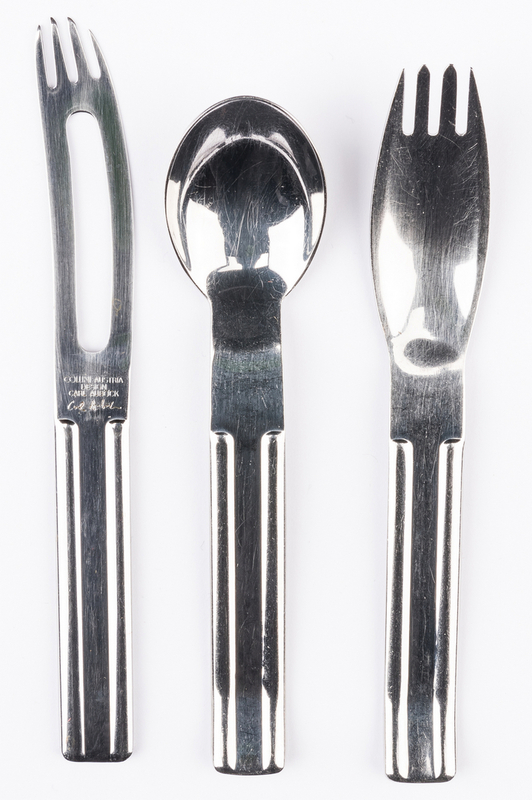 Lot 454: Carl Aubock Culinar Flatware, 40 pcs. 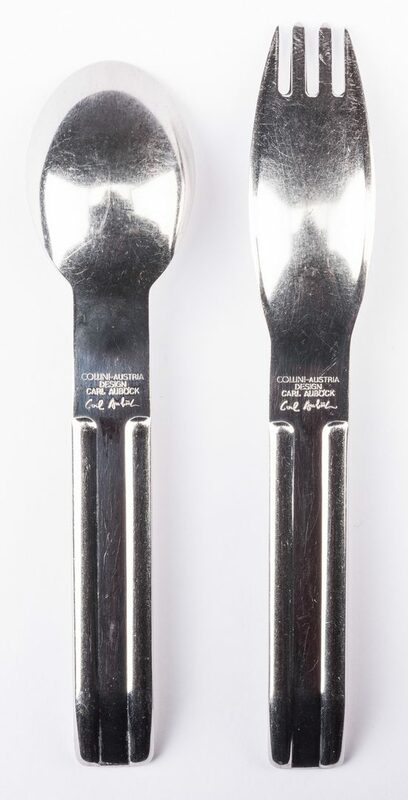 You are here: Home >> January 27, 2018 Historic Winter Auction >> Lot 454: Carl Aubock Culinar Flatware, 40 pcs. 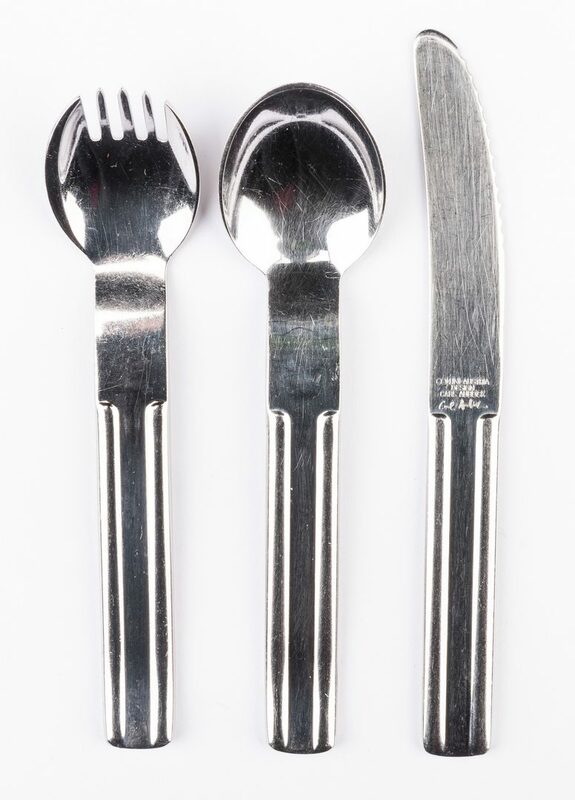 Carl Aubock designed Austrian Modernist stainless steel flatware, manufactured by Collini/Austria, 40 total pieces. 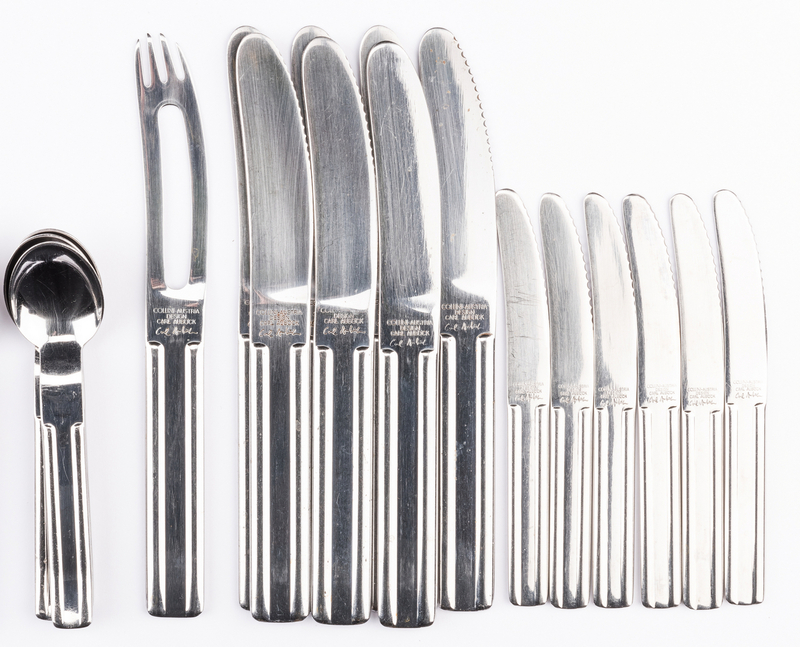 Culinar pattern including 7 dinner knives, 6 dinner forks, 7 dinner spoons, 7 pastry/pie forks, 6 cocktail spoons, 6 butter knives and 1 cheese knife. 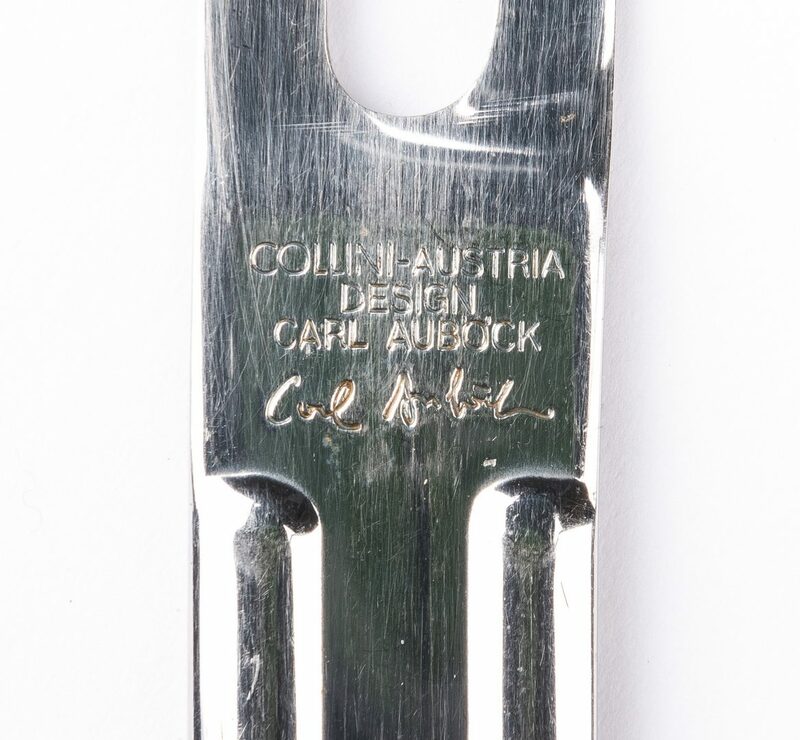 All pieces stamped en verso "Collini-Austria/design Carl Aubock" together with Aubock's signature logo. Circa 1974. 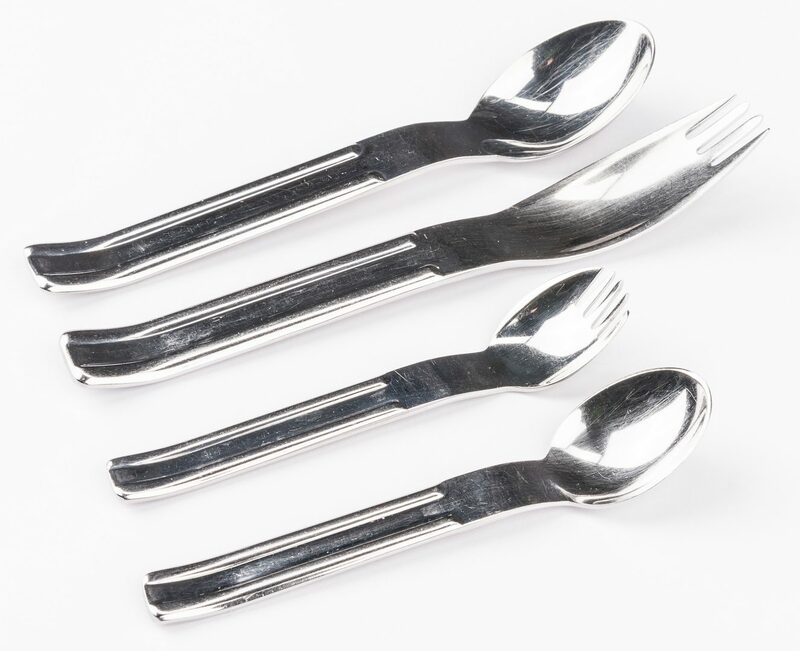 Provenance: Property of a private Knoxville, Tennessee collector. 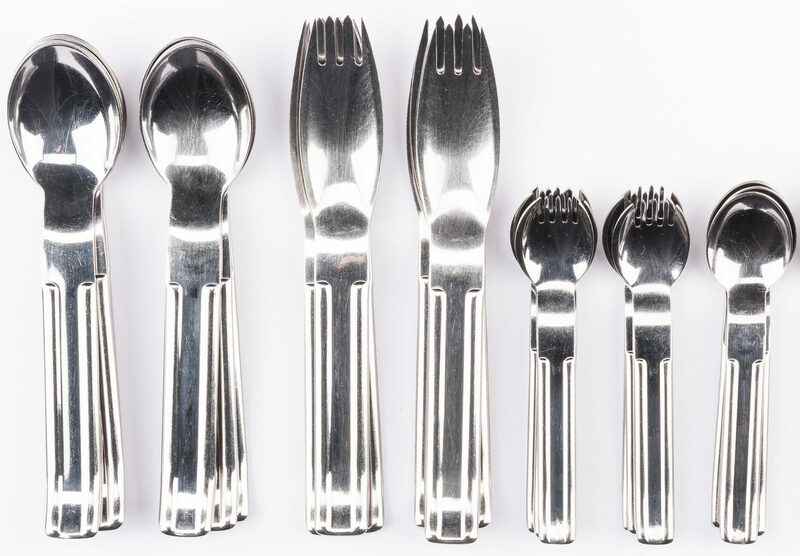 CONDITION: All pieces overall good condition with general use wear.